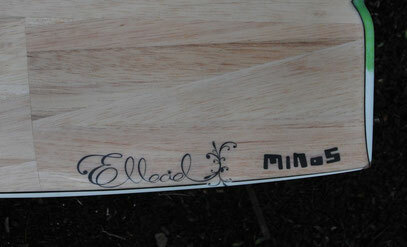 Here is "Minos", the first "Mini Simmons" by Elleciel but not the last! 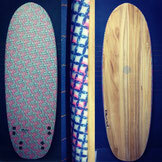 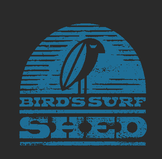 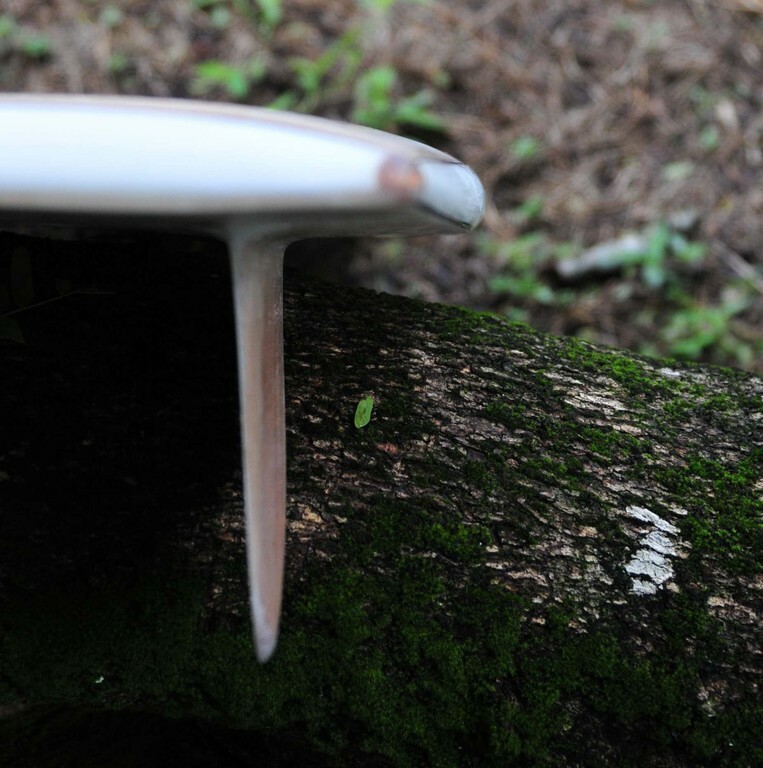 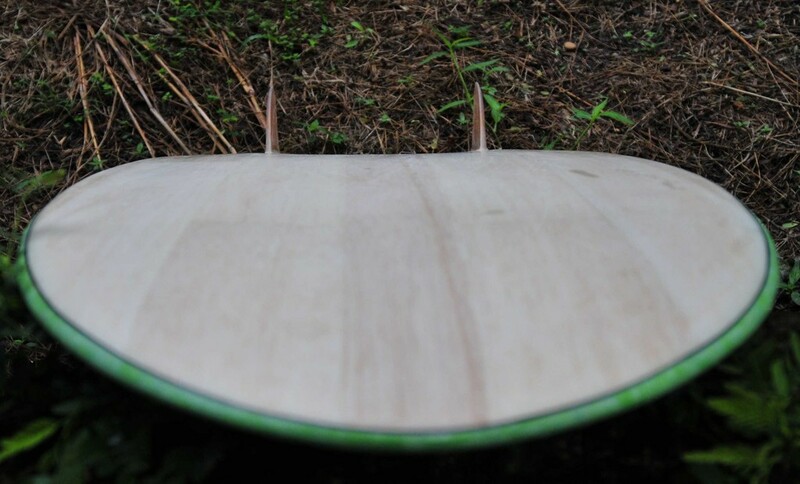 A great little barn d... board that flies on small surf! 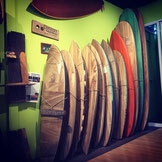 but waow its great to surf and that's what we are after! 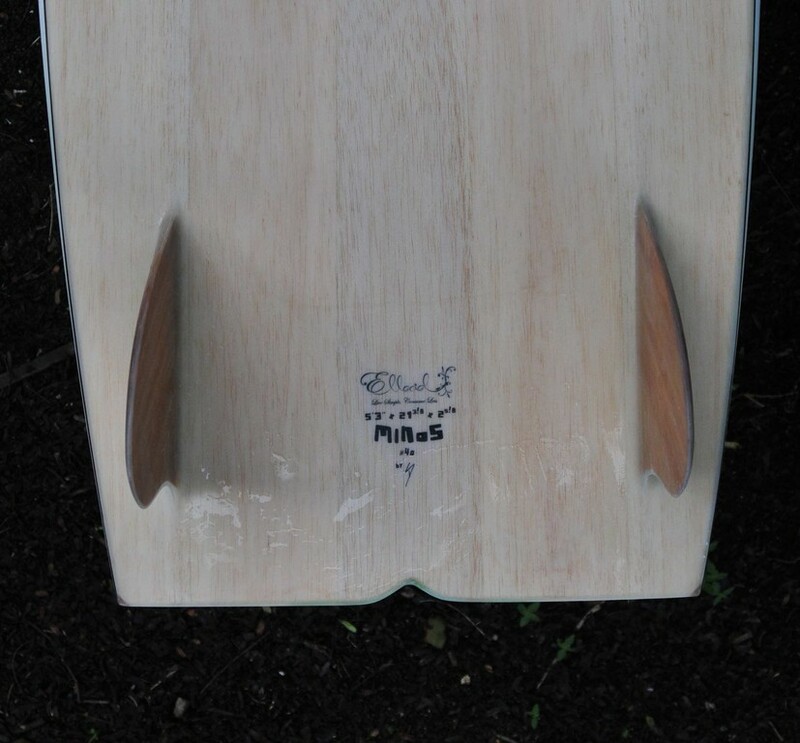 As this was a first try and a personal board, this "Minos" get a patchworked deck with balsa wood cuts from previous boards and very low density balsa planks on bottom. 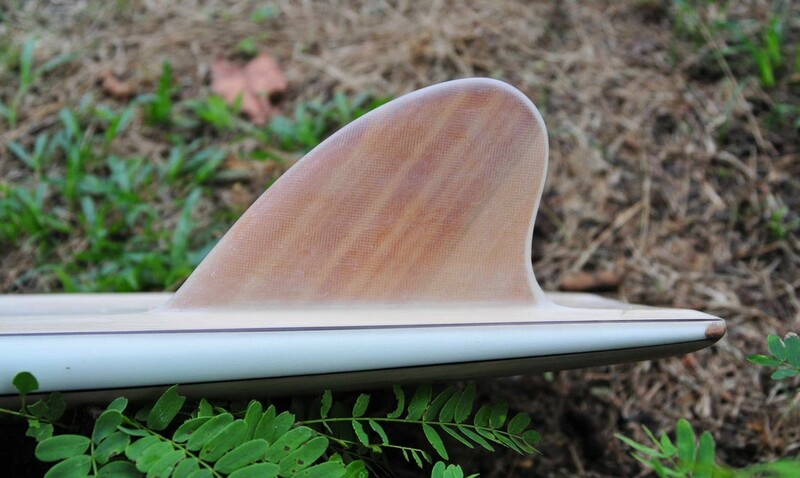 The glassed on twin fins setting is also a premier and as they're home made everything is possible in the future like quad, half moon keels, etc..
Flat to double concave deck! 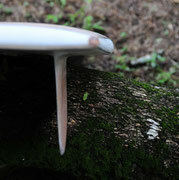 Such wide tail, whay not to have a "pad like" hump!? 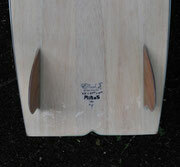 5'3" x 21"3/8 x 2"5/8 tail 15"3/4!